Phase84 is a next generation phase distortion synthesizer. It fuses gritty digital sounds with traditional analog punch. Phase84 is a Tabletop Ready App. Combine Phase84 with drum machines, sequencers, effects, and more inside Tabletop — a free modular music app for iPad. Phase84 is an extremely capable synthesizer and features over 110 presets, containing all sorts of basses, leads, pads, bell tones, sweeps, atmospheric sounds, pseudo-realistic tones, and more. While you don’t need to know much about synthesizers to get a lot out of Phase84, experienced synth tweakers will be thrilled at the sheer variety of unique sounds that can be produced with this incredibly versatile synth. So What’s Phase84 All About? Phase84 is what’s known as a Phase Distortion synthesizer. This form of waveshaping synthesis has its roots in Casio’s brilliant CZ line of digital synthesizers from the 80s. It is designed to have the warmth of a subtractive (analog) synthesizer, yet be capable of the squelchy tones and sharp attacks of an FM synth. Phase84 in particular can create warm pads, glitchy sounds, dirty basses, filthy sweeps, screaming leads, and anything in-between. For those familiar with the typical Moog-like (or iMini-like!) synthesis, think of the “shaper” as being synonymous with “brightness” or “filter cutoff”. Expressive Perform Mode with Groove Gate. Phat, naturalistic unison feature for super thick pads and sweeps. Oscillator Section: 9 Params, 2 General-Purpose Oscillators, 1 Formant Oscillator. Mix Section: 8 Params including Delay Amount and Pulse Width. Envelope Section: Amplitude and Shaper Envelopes. Fully visualized and interactive ADSR plus special Fade Param. Delay/Filter Section: Stereo delay with loss modeling and a punchy overdriven analog-style filter. 3 LFOs: More flexible than your average LFO, this has 4 waveforms, optional delay and repeat count, and can go into the audible frequency range. 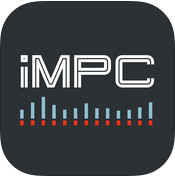 iMPC Pro re-imagines the classic music production center as an iPad app – offering 64 tracks for composing, editing and mixing music. It offers most of the features of classic MPCs and adds new features that the iPad makes possible, including: touch-based sample editing, a new timeline view, Inter-App Audio and social sharing. 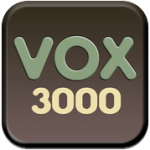 It’s available now – with a US $20 regular price and discounted $12.99 price for early adopters. 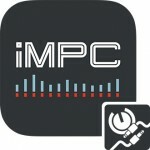 iMPC Pro is the type of app that gets musicians excited about the iPad. For the price of a pizza, iMPC Pro puts a music production center on your iPad that’s surprisingly powerful. 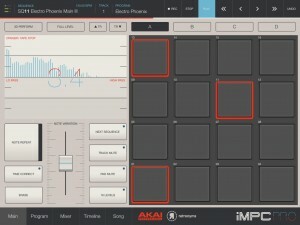 While it won’t replace the traditional MPC for hardware fans, iMPC Pro makes MPC-style music making affordable to anyone with an iPad. 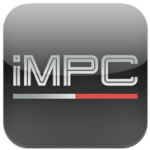 What’s New in Version 1.2 – iMPC gets a free update that adds some simple yet powerful new features. 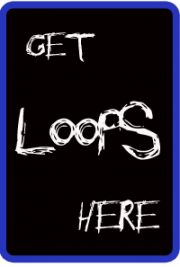 *Copy phrases to the clipboard so that you can paste them into AudioPaste compatible apps.